Public Administration Optional paper 2 notes Hindi pdf for IAS 2018 – Hello Friends Welcome to studydhaba.com .Here We are sharing Public Administration study material of paper 2 in Hindi for IAS 20189 Exam . Boards; Commissions; Attached offices; Field organizations. 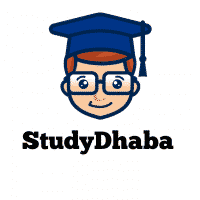 For more latest update keep visiting studydhaba.com .We will Provide more free study material.